Qualcomm’s all-day Snapdragon notebooks offer many compelling features for consumers, such as (really) long battery-life, LTE availability, and a full-fledged Windows desktop. 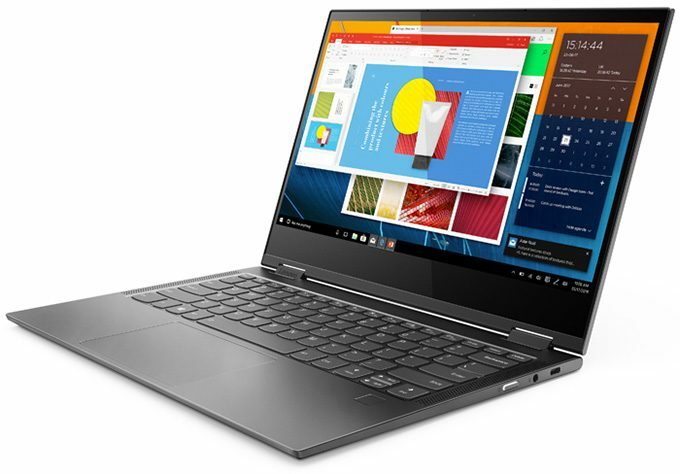 Some notebook designs, such as Lenovo’s Yoga C630 WOS, also both look great and offer solid functionality (we’re still craving Thunderbolt, though). One of the biggest challenges Qualcomm has faced so far with regards to consumer adoption of its Windows on Snapdragon (WoS) notebooks isn’t the hardware or capabilities, but rather software availability. 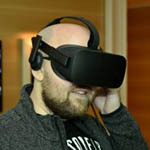 Since Windows has existed for most of its life without Arm as a serious focus, we’re currently in a period of time where the ecosystem needs to begin porting applications to native code. While WoS notebooks equipped with Snapdragon are fully 64-bit, that applies only to the native Arm code, not x86. That means if you want to run non-Arm applications on these notebooks, you’ll need to grab the 32-bit versions. That’s a bit of a problem for two reasons: 32-bit supported versions of many applications continue to dwindle (especially Adobe software), and anything running through an extra layer is not going to run as fast as it should. This issue has ultimately led Qualcomm to work with Mozilla to make sure one of the best browser options around is natively supported on WoS notebooks. And it’s a good thing, because many of us basically live inside our browsers nowadays, so if we’re not getting full performance, it’s going to be noticeable. That’s especially true with start-up performance. 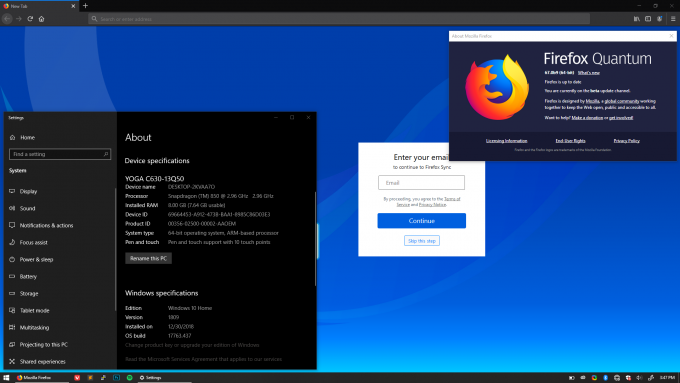 Today, you can download the newest version of the Firefox beta, and on Windows on Snapdragon, it will automatically install the appropriate Arm 64-bit version (seen in the screenshot above). Our first impressions of the browser are great. In quick tests, we found Firefox Quantum loads in about 2.5 seconds, which is compared to 1.8 seconds for Edge (also Arm native). The 32-bit version of Chrome took 3 seconds to load, which itself isn’t bad, but lest we forget, this is all about eking the ultimate performance out of our software. One key ingredient in this performance pie has been taking advantage of Rust’s fearless concurrency to break tasks apart and spread them intelligently across the CPU, which makes us glad the Snapdragon 850-powered notebooks include an eight-core processor. If you give Firefox for ARM64 Windows 10 a try and have some feedback, Mozilla welcomes it. Bugs can be reported here, while crash reports or general feedback can be shared here.